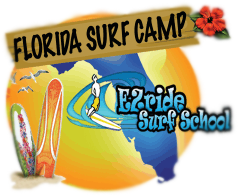 Come discover the health benefits and joy of surfing Florida’s waves with EZride Surf School! Surf Camp sessions are held on select weeks between the months of June and August and selected school holidays. Explore the ocean and let surfing encourage healthy living and staying active! Make lasting friendships, try new activities, and challenge yourself, all in a friendly and encouraging environment. Safety is a priority, and EZride Surf School recognizes the importance of our certified instructors as role models. We assure you that they conform to the highest standard of integrity and behavior. Our didactical teaching style, combined with a passion for surfing, creates a nurturing atmosphere for learning. We strive for you and your family to leave your surf camp experience with a strong foundation of surfing knowledge, and a feeling of accomplishment. You will be more self-confident, and physically fit with an appreciation of the ocean and nature. All the basic information is listed below. If you have any questions or need any other specific information about accommodations, directions or area attractions, please don’t hesitate to contact our office. Spots are filling up very fast and we want you to have the week you prefer. Gift Certificates are available. 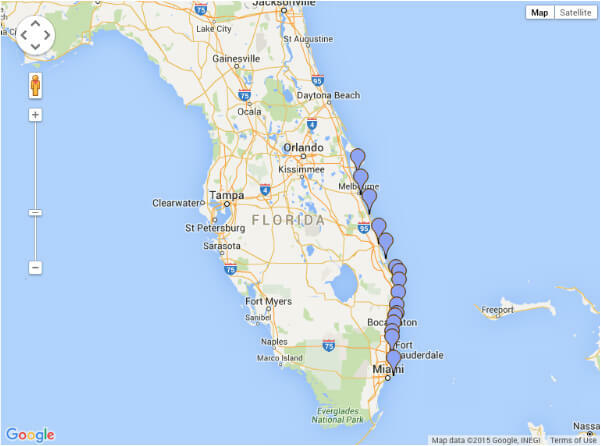 Fort Lauderdale / Pompano Beach -Greater Ft. Lauderdale. All locations are safe for children and adults. Multiple weeks and family discounts are available. 5% off when you sign up before April 30th. $100.00 deposit is required to register. The surf activities will include all the ocean education you need to start you surf journey or to increase your surf performance. Surf techniques, water safety, marine biology, oceanography, surf forecasting, and nutrition. We will provide a safe surf world atmosphere for you. 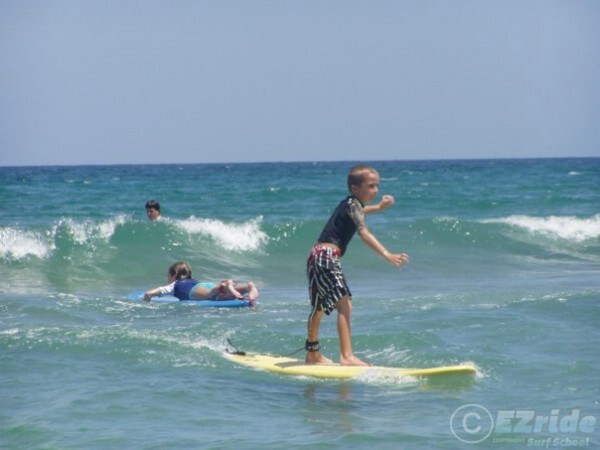 Provided the waves conditions during each week of the Summer Surf Camp, we will have available extra physical activities including inland surf training (Indoboard), snorkeling, beach soccer, paddle race, strength exercises, and educational seminars.